No definite plans, but I will likely sell everything sometime during the year after I retire. That will be 1 hell of an auction. Bad experiences with Vince at Metro and CC dating back to 2011. This threads reminds me I need to make a USA Road Trip #2 - East Coast this time. This might be a record for the boards. I might be wrong, but I don't recall a 6 figure sales threads. There have been several over the years with 2 recent examples shown. 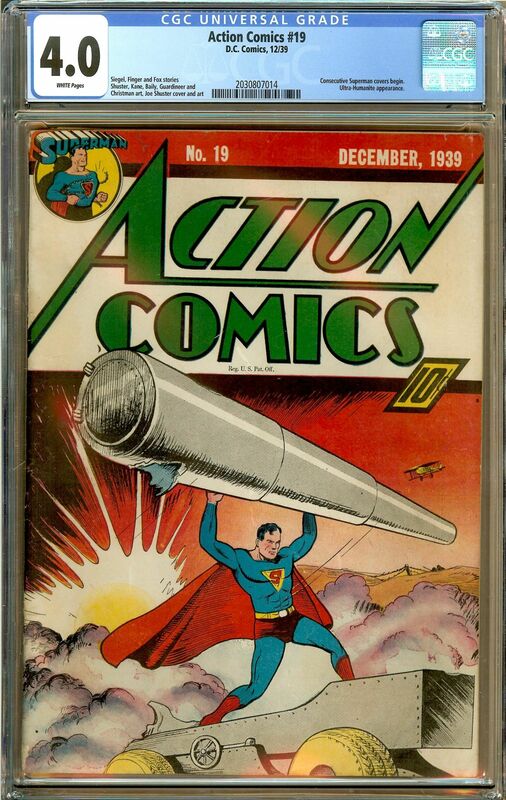 There is a guy still alive in the SF Bay Area who bought an Action 1 off the newstand, entered the contest, and won. Does he still own it ? I'm looking for a CGC 9.4 Hulk 181, WHITE pages only, and centered. 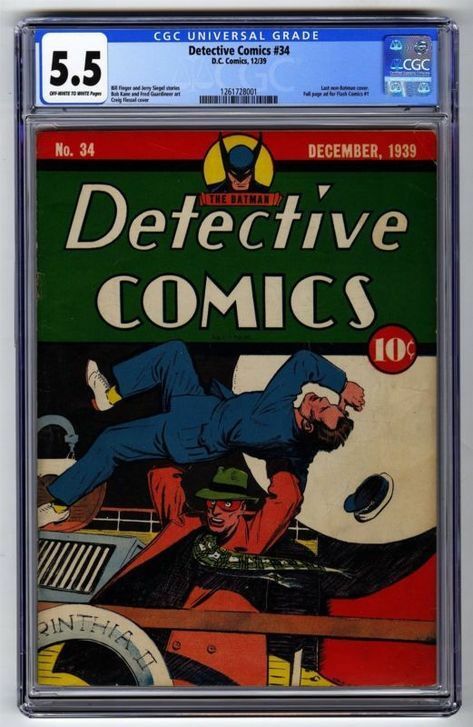 I set my search on ebay for Detective Comics Golden Age (1938-55) but everyday I find myself having to sift through dozens of modern/bronze and even silver ( don't mind those as much ) age Detective Comics in that search. Can I improve my search (and if so how ?) because people are just too stupid or not bothered to properly categorize their books ? Found one guys thanks for the help! I regret not having picked up some of Andre's books when he sold off his collection Certainly would have had them cheaper than by today's prices. 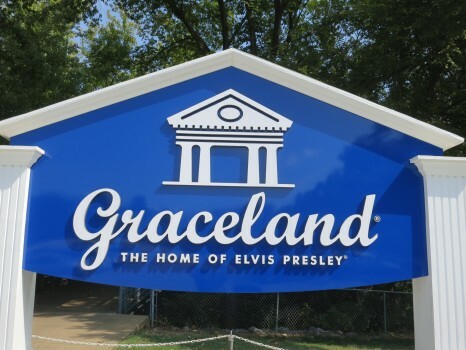 It was purchased from Bob Storms for under $70K in March 2018, and immediately listed at a 50% uptick. This is a classic example of the practice of overpricing books in the hopes that a sufficiently motivated buyer will go nuts and set a new level for the market. Books like this sit for months, or even years, if need be. Wow ! Good to know. A book like this I would only buy at auction. 70-75K sounds about right for a 9.0 copy in 2019 but I don't follow the SA market all that much anymore. I will keep the book under watch out of curiosity. If ever I go back to SA, this one would be the first book I'd buy and in same grade. I pulled the trigger when this book came up on World Wide last night thought it presented quite well with White Pages and the price seemed quite reasonable . So, YOU were the guy. Saw it this morning and mourned its sale. Congrats! It’s a beauty. So, YOU were the guy. Saw it today and thought sweet pickup. Congrats! Indeed, very nice copy. 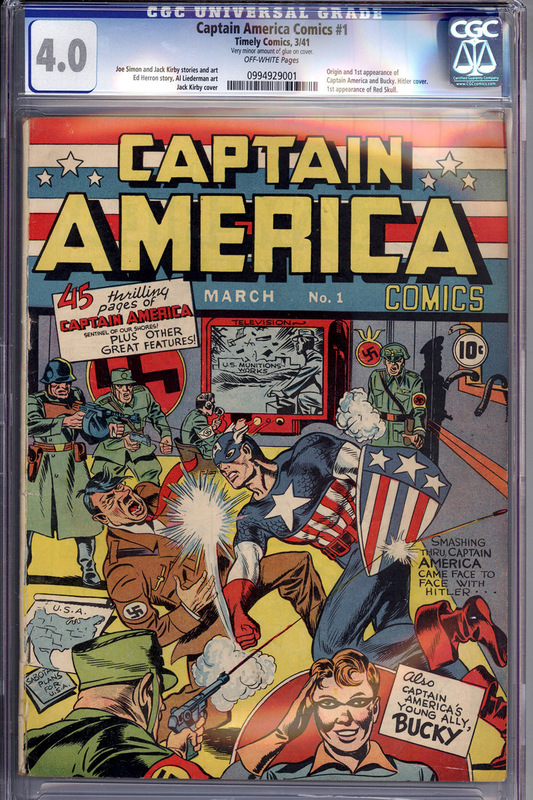 ComicConnect's Next Event Auction has started posting books !